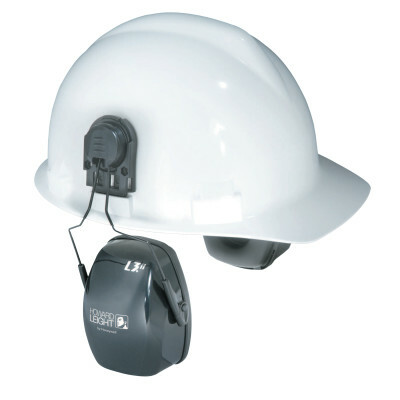 Leightning Earmuffs, L3H, 27 dB NRR, Black, Helmet-Attached | Safety First Services, Inc.
High performance earmuffs with robust durability. Provides optimal comfort, with padded foam headband and super-soft ear cushions. Patented Air Flow Control™ technology delivers optimal attenuation across all frequencies. Snap-in ear cushions make replacement quick and easy. Telescopic height adjustment remains fixed during use. Includes a pair of hard hat adapters.